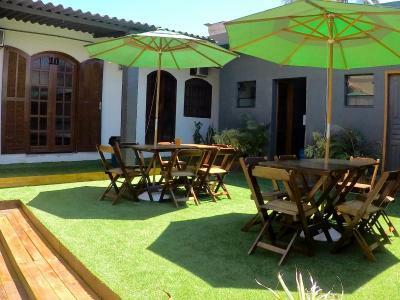 Lock in a great price for Hostel A Coroa – rated 9 by recent guests! Absolutely the best hostel I've stayed at, ever. I was really impressed at how the hostel functions so well for all different needs. I had a deadline to finish and found no problem to find calm places to work although party was on in the main area, and everyone resepcted the silence at 00. Also, beds were nice, clean and comfy, hang out spaces nicely decorated, personell really friendly and chilled out. On top of this, free coffe during daytime and popcorn at night, such lovely extra gestures that go a long way. It is a balance place to stay on a quiet street close to the beach. Staff were friendly and helpful. Breakfast was good. Environment was quiet. Breakfast was nice, friendly vibe and check- in time was good. Very relaxing atmosphere, good places to chill at the hostel, good breakfast. It was located between two nice beaches within walking distance of both. 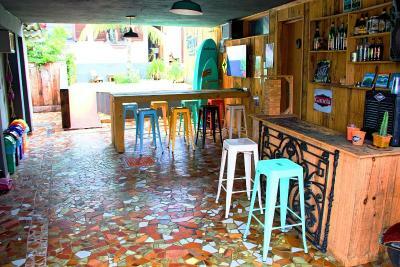 The staff was very friendly and the hostel had events like grilling burgers one night for dinner for a good price. Very friendly staff and nice vibe. The hostel has nice design details and was generally clean. Very friendly staff, lovely hostel nice room nice breakfast. Highly recommended. 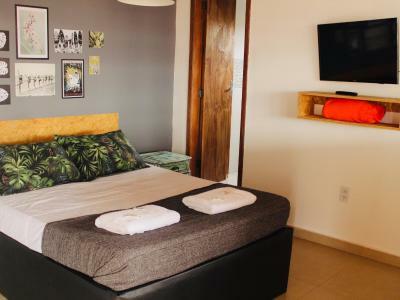 cool hostal, modern and state to the art. nice breakfast and great rooms. they don't give you a lot of advice about the activities in the town but the boat tour they recommend to you is just the best what you can do in arraial do cabo!! Breakfast was great! There was fruit,watermelon,melon and pineapple,cake,break,cheese,ham,butter,homemade toasts,different kinds of juice,milk,coffee and bread. 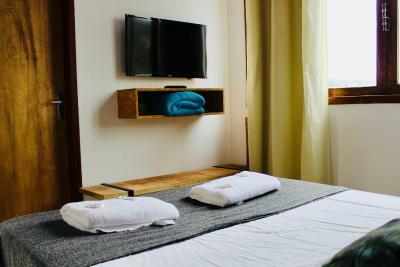 Overall,it’s a clean and cozy hostel with a cool vibe. My friend and I were a little antisocial and decided not to mingle but if that’s what you’re looking for,I’m sure will find loads of people to meet and hang out with. It took us less than half an hour on foot to get to Praia do Forno from the hostel. 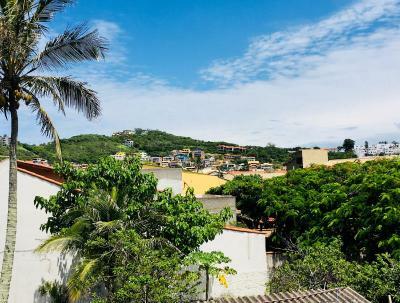 One of our top picks in Arraial do Cabo.Hostel A Coroa is located in Arraial do Cabo, 1.8 miles from Forno Beach and a 10-minute walk from Praia dos Anjos Beach. Featuring a 24-hour front desk, this property also provides guests with a grill. The property provides a shared kitchen and a shared lounge for guests. At the hostel, each room has a terrace with a pool view. Selected rooms will provide you with a kitchen with an oven. All guest rooms feature a seating area. Cycling is among the activities that guests can enjoy near Hostel A Coroa. Nossa Senhora dos Remedios Church is 0.7 miles from the accommodation, while Oceanographic Museum is a 15-minute walk away. 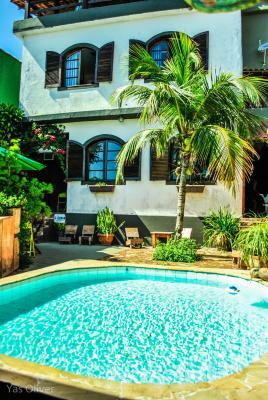 This property is also rated for the best value in Arraial do Cabo! Guests are getting more for their money when compared to other properties in this city. When would you like to stay at Hostel A Coroa? 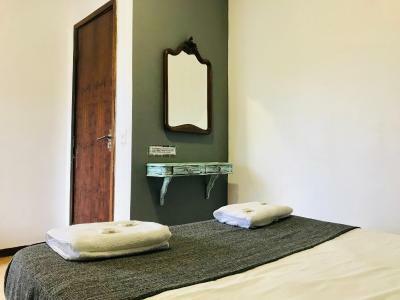 This triple room features a kitchenware, tea/coffee maker and kitchenette. 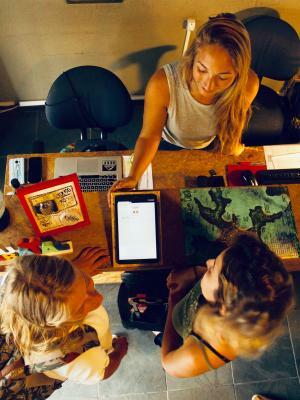 House Rules Hostel A Coroa takes special requests – add in the next step! Hostel A Coroa accepts these cards and reserves the right to temporarily hold an amount prior to arrival. our private room had a very small shower, it was not that comfortable. Kitchen is very small and sparsely equipped for when the hostel was full. But atmosphere was still nice, people being respectful to clean all dishes quickly to make it work. Location not best, but still walkable to beach and centre. Some of the bathrooms are old and some are new. The one next to my room was one of the old ones and when I sat on the toilet I had the impression I was gonna break it as I make the sound of ceramic creaking. They should fix it! My bed also made a weird sound when I moved during the night,which was annoying. There was no a/c in my room. Luckily the weather was not boiling during my stay and the fan they had was enough. Triple bunks not the best. Great breakfast, good WiFi and really friendly/helpful staff. The staff were incredible, so friendly and helpful and luckily for me several of them spoke perfect English. All of the facilities are excellent and the whole place is kept immaculately clean. There are cool hang out areas, a great kitchen and the bathrooms feel brand new. There are lockers for your bags in the dorm rooms. The breakfast is really good too. I 100% recommend this hostel. It made my stay at Arraial do Cabo! Bed and pillows were a bit hard. The bed also was very small, it was a double bed and my husband barely fit on it. The location was good, close to the main beaches, but the staff was the best. They are great, they can help you with anything. I was there on a bit of a low season so there was not much of a social scene. Very nice and clean doorms with lockers and plugs. The hostel was cutely decorated and very clean. Good breakfast. - Bed is quite a bit short for 185+ cm tall persons, - Doors were not sealed correctly, so they bumped a bit because of the wind outside, - A bit odd smell inside the room. the house was large and the double room where I stayed was spacious and breakfast was perfect!